This picture book is one title in the special Pooh series that addresses -- and resolves -- simple childhood problems. 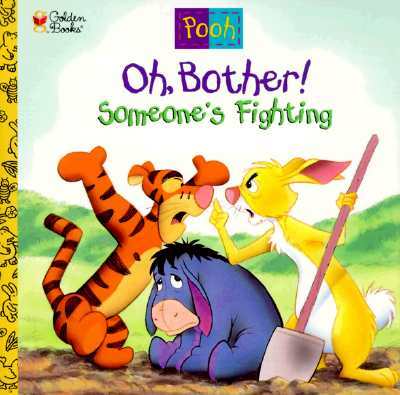 It's a gentle, silly story about a fight among friends starring favorite characters from the world of Pooh. Everyone has a different idea about how to help make Eeyore less gloomy. Piglet and Pooh solve the problem almost by accident, and the tempers that flared up quiet down by the end of the Hundred Acre day.